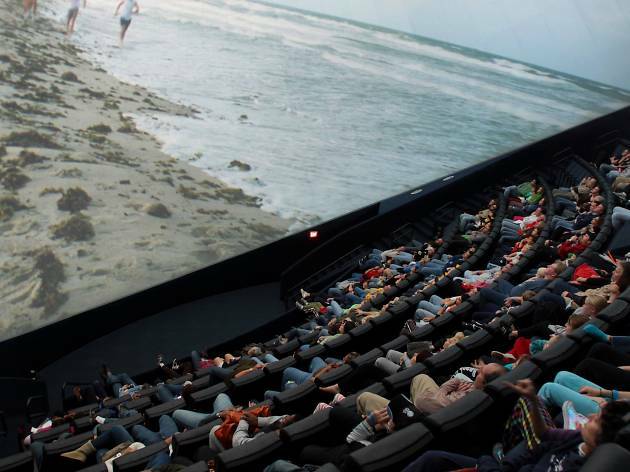 Most often used for mini-science documentaries, the Tuttleman IMAX Theater aka the Dome is also used for carefully selected first-run offerings, such as Star Wars: The Force Awakens and Dunkirk. 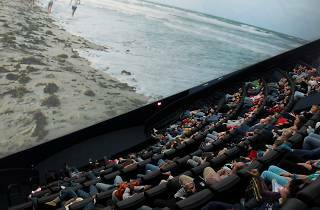 Surrounded by the screen—and at a 30-degree tilt—the audience is treated to a wrap-around experience that quite literally immerses them in the projected images. Given its immense size, it can be disorientating to watch conventionally shot films here—and tickets are pricey. But for certain occasions and with the right blockbuster, it can quite an exhilirating experience.